Digital tools and solutions are transforming public services and how governments respond to citizens’ needs. Many cities have been actively engaging in the modernisation and re-engineering of government processes and services and have seen high returns through simplified governance and increased efficiency, effectiveness and outreach. 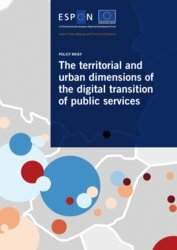 However, cities face many challenges in the processes of digital transformation including re-thinking governance, allocating resources for re-skilling and adopting new technologies, as well as legislative and policy issues. 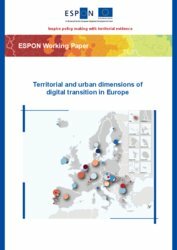 This ESPON policy brief on the “Territorial and urban dimensions of the digital transition of public services” and the respective working paper aim to help European, national, regional and urban authorities to better understand the level of digitalisation of public services, to learn from others through benchmarking and to design actions for the future. Digital interactions with public services range from obtaining information to managing administrative procedures and online voting. 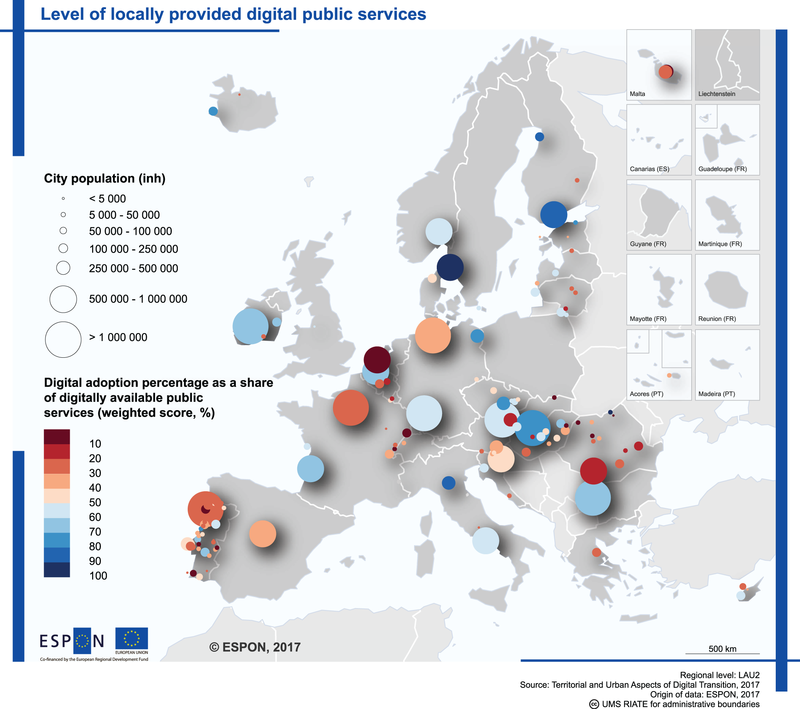 The proportion of individuals interacting with public authorities via the internet has been increasing across Europe in recent years, according to Eurostat. 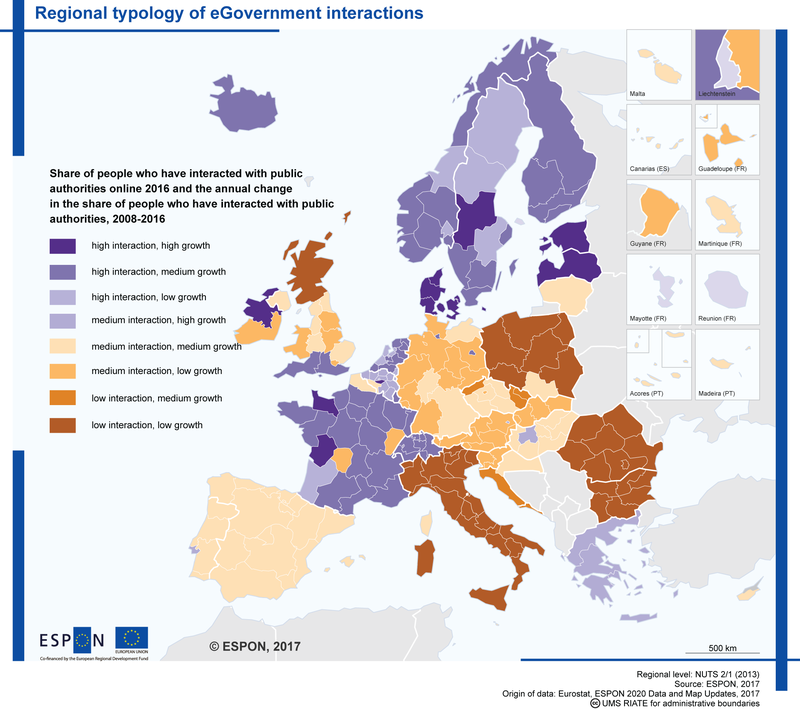 Northern and parts of Western Europe have the highest levels of interaction whereas Eastern and parts of southern Europe have lower levels of interaction (see Map 'Share of individuals who used the internet for interaction with public authorities').